As a strike by 31,000 unionized Stop & Shop supermarket workers throughout the Northeast stretched into its seventh day Wednesday, Joe Biden was ready to speak up. 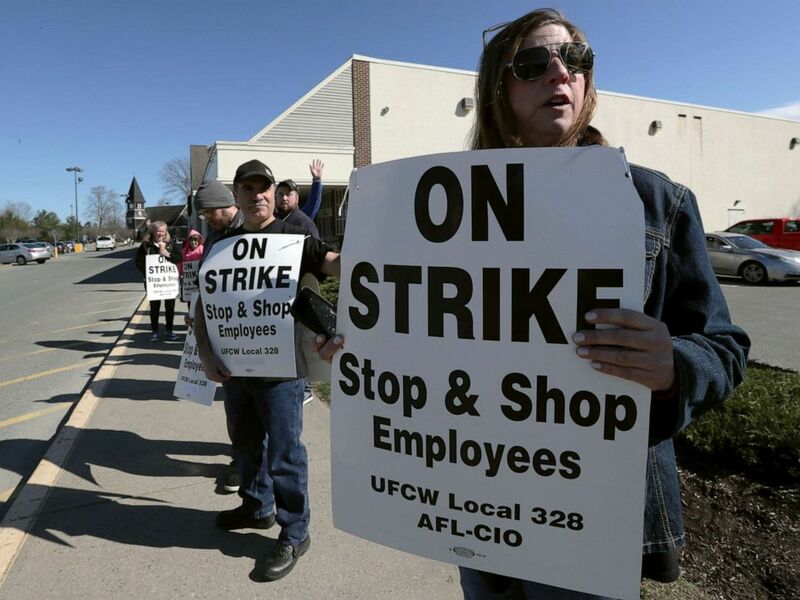 PHOTO:Union workers picket outside a Stop & Shop supermarket, April 11, 2019, in Norwell, Mass., after workers walked off the job in Massachusetts, Rhode Island and Connecticut over stalled contract negotiations. Most stores remain open for business seven days a week, from 8 a.m. to 8 p.m., with some reduced services. However, bakery, customer service, deli and seafood counters will not be operational, and we currently have a limited meat selection. I stand in solidarity with the thousands of Stop & Shop workers on strike in New England. You deserve fair wages, quality health care, and the ability to retire with dignity. We are with you.